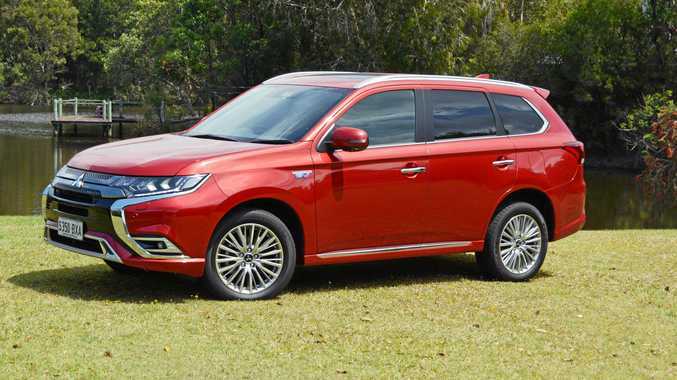 GENUINE excitement has met the Mitsubishi Outlander PHEV's arrival. Recently tweaked with lower prices, reduced by $1500 on the range-topping Exceed to $53,990 plus on-roads, this is a trail-blazing model. 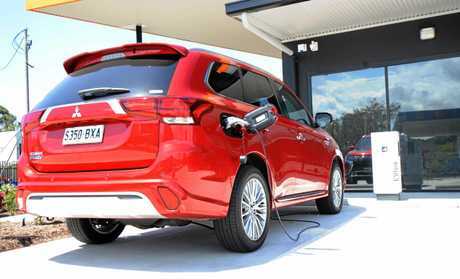 While it was launched in Australia four years ago, Mitsubishi has honed and improved what can lay claim to being the world's first plug-in hybrid SUV. Our first experience with the Outlander PHEV had a fiery end. The long-term test saw a spark from the charging cord which ended the electric regeneration. Back then plugging into the standard 10amp home power point wasn't possible without a 15amp converter. That's changed for the better and it can now be charged to capacity in about 6.5 hours. 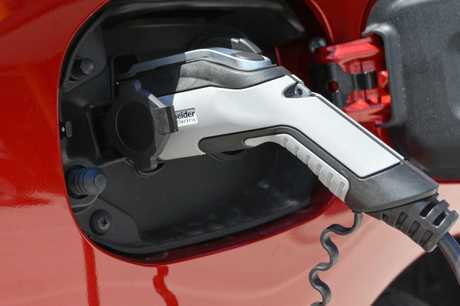 Fast chargers will enable the battery to achieve 80 per cent capacity within 25 minutes. Yet the driving range hasn't increased greatly since its showroom debut and maximum range on pure electric mode is a theoretical 52km. Within the first three weeks we've struggled to get much more than 35km from one charge - living in a hilly area and using the air con reduces the range. Turning off the aircon improves the range close to the claimed maximum figure. Doesn't sound like much? According to 2016 Australian Census data, the average commuting distance for 73 per cent of the workforce is 16km. There's still a quarter of a tank of standard unleaded on board after three 100km-plus highway journeys. Since then it's been all electric, and depending on the charge duration each time plugging in costs about $2. That's about three weeks of running around with family duties totalling more than 1200km while remaining sans servo. 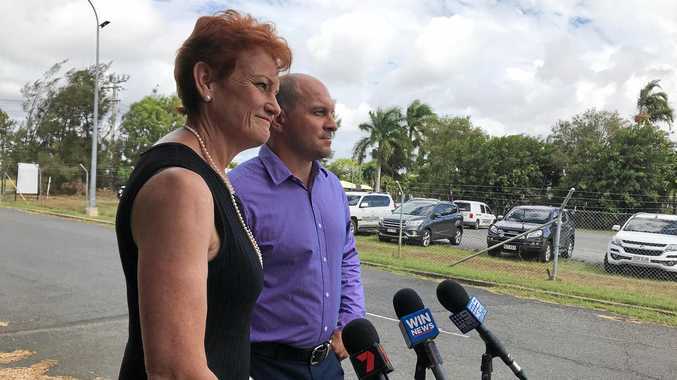 Without using any petrol, running costs would be about half with unleaded soaring to more than $1.60 a litre at some locations. The battery power motivates two 60kW electric motors at the front and rear, which are supplemented by a 2.0-litre engine when required. That can mean providing extra power when you stamp on the right pedal or to generate more energy when the battery is low. 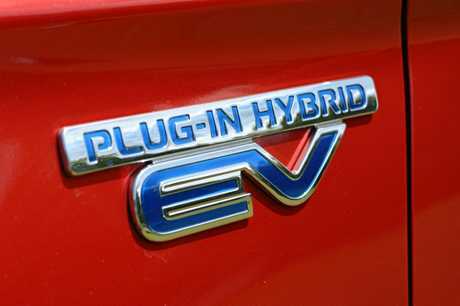 Changes between hybrid and pure electric mode happen automatically - you won't be on the side of the road when the battery power runs out - but the combustion engine can be noisy and feels lacklustre in comparison to the torque-laden electric motors. 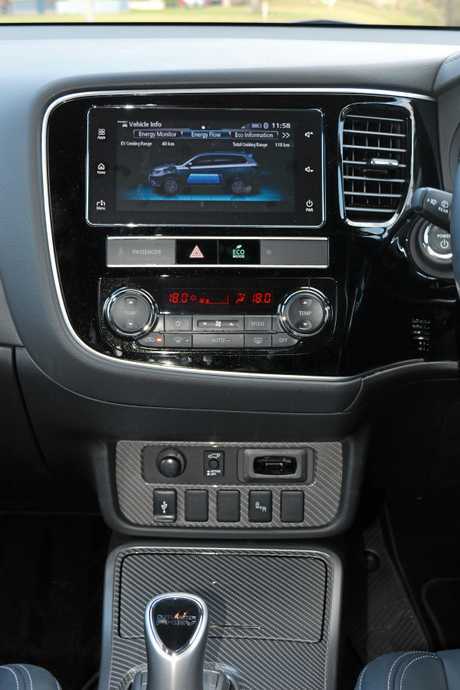 You can also feed more power back into the battery by using the paddles on the steering wheel for braking. The front and rear electric motors act as generators so electricity can be fed back into the battery. Exceed models cut a refined figure with a new grille and bumper, along with different 18-inch alloys. 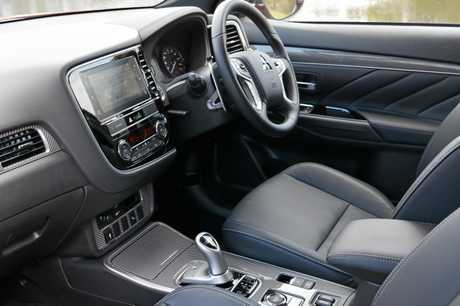 Being the range-topper, it gets the best of Mitsubishi's equipment, like leather trim, sunroof, smartphone mirroring apps Apple CarPlay and Android Auto available through the colour touchscreen, autonomous emergency braking when travelling forward (not reverse), radar cruise control, lane departure warning, 360-degree cameras and rear cross traffic alert. Inside and it looks high-end with a joystick-style gear shifter, carbon fibre design and silver pinstripe dash and door trim.